Kent International Hotel - Hotel Hotel Harbour Parade, Ramsgate CT11 8LZ. 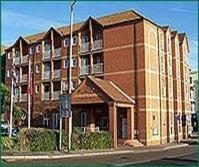 Kent International Hotel - Hotel, Harbour Parade, Ramsgate CT11 8LZ. Overlooking the Royal Yachting Marina, with spectacular views across the South Coast, this stylish and modern hotel is a popular place for entertaining and relaxing. The hotel's newly refurbished Atrium Restaurant serves an  la carte menu alongside traditional British cuisine with a new modern twist in a friendly and modern atmosphere. Afterwards you can wind down in the bar that overlooks the harbour. The hotel operates a non-smoking policy throughout. 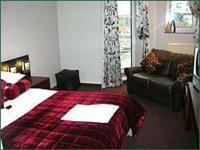 Hotels in Ramsgate: Kent International Hotel - Hotel, Harbour Parade, Ramsgate CT11 8LZ.